The struggle of five artists for success at the International Conductors' Competition in Frankfurt provides real-life drama that tests not only their musical ability but their personal character. Told against the backdrop of this career-defining event, CONDUCT! 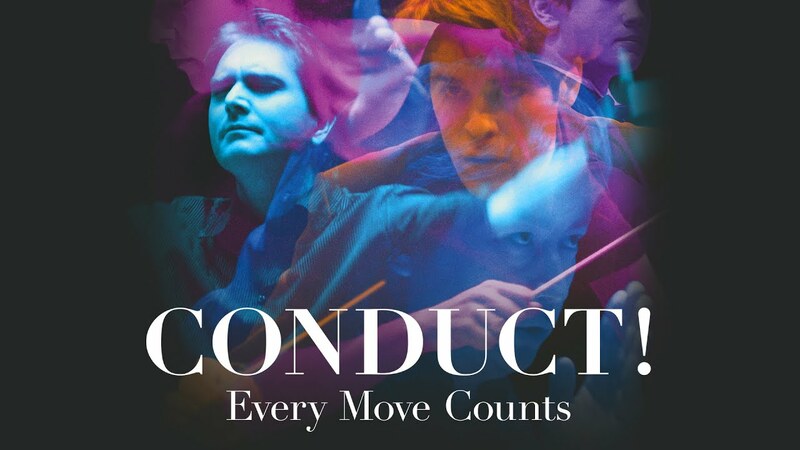 EVERY MOVE COUNTS documents the friendship and opposition, the talent and maturity, as well as the success and failure of these talented conductors, who are on the verge of becoming world-class maestros. "By focusing on only a few competitors, Schauder reveals their distinctive personalities and musicality... One of the pleasures of conductor competitions is seeing/hearing the same music interpreted in different ways and this program allows plenty of chances to experience, for example, parts of Haydn’s '49th Symphony' and Stravinsky’s 'Firebird Suite' played uniformly excellently but with different aspects emphasized. Superior music competition storytelling is on display here, with excellent editing and sound quality." - Bonnie Jo Dopp, EMRO. Highly Recommended. "****[T]his entertaining film provides an interesting insight into the interaction between musicians and conductor..."
"Highly recommended. By focusing on only a few competitors, Schauder reveals their distinctive personalities and musicality.... Superior music competition storytelling is on display here, with excellent editing and sound quality."